In an electrical installation, it is common that installation conditions vary along the path of a cable. The question that arises then is: which is the installation mode that should be assigned to the cable for the verification of the admissible intensity? The response is clear. According to the normative NF C 15-100 § 523.7 or IEC 60364-5-52 § 523.8, if the conditions of the heat dissipation vary on a part of the course, the admissible currents must be determined for the part of the course presenting the most unfavorable conditions. The laying methods presented in the mentioned standards make it possible, in the usual cases, to overcome the tedious calculations described in the series of standards IEC 60287 for the determination of the admissible currents. This simplification, very real when the installation mode remains constant along the path of the cable, masks a real difficulty of comparison if the installation conditions vary on this course. In fact, the laying methods are classified by family, refer to reference methods that determine the tables of admissible intensity to use, use correction coefficients that may differ from one family to another or even one mode of pose to another. There is no choice but to go to the end of the calculation for each of the pose modes used. The determination of the most restrictive mode of installation is not intuitive for the designer of the installation whose confusion, at the time of choice, increases proportionally to the number of situations encountered. In order to improve productivity without making any hazardous choices, elec calc™, therefore, allows entering, for a given cable, as many laying modes as necessary. The software is responsible for performing the allowable intensity calculations for each of them and choose the most binding for normative checks. 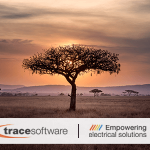 Of course, thanks to the real-time calculation, elec calc™ immediately adapts the most demanding installation mode in case of modification of the parameters, such as the environmental parameters, for example.